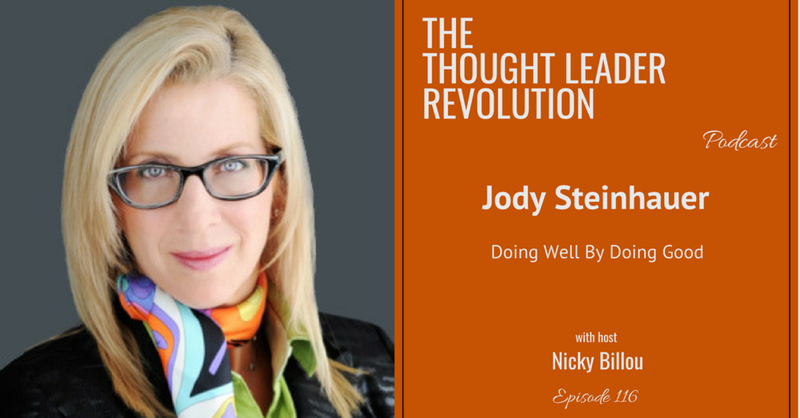 Our guest, Jody Steinhauer, founder of The Bargains Group and the charity, Engage & Change is fuelled by her entrepreneurial passion and commitment to assisting others. She started the Bargains Group (TBG) to help retailers save money on wholesale clothing and accessories. Since 1988, Jody has grown TBG from her apartment to a multi-million dollar-a-year business. As well, she created Engage & Change to give people and companies the opportunity to do group volunteer projects that assemble and build vital supply kits for the homeless. To learn more about Jody, visit here. To check out the Bargains Group, click this link.